72nd Street Bagel is a small deli and bagel shop located in the Upper West Side of New York. The inside of the shop is small, but they have a few tables to eat at. I came here one morning looking for a quick breakfast because it was the closest bagel shop to where I was staying. I had a sesame and poppy seed bagel with plain tofu cream cheese. The bagel tasted fresh and it had a satisfying chewy texture to it. As a lactose intolerant person I really like the abundance of tofu cream cheese in New York delis. The tofu cream cheese was thick and creamy and although not as rich and delicious as regular cream cheese, it was still good. 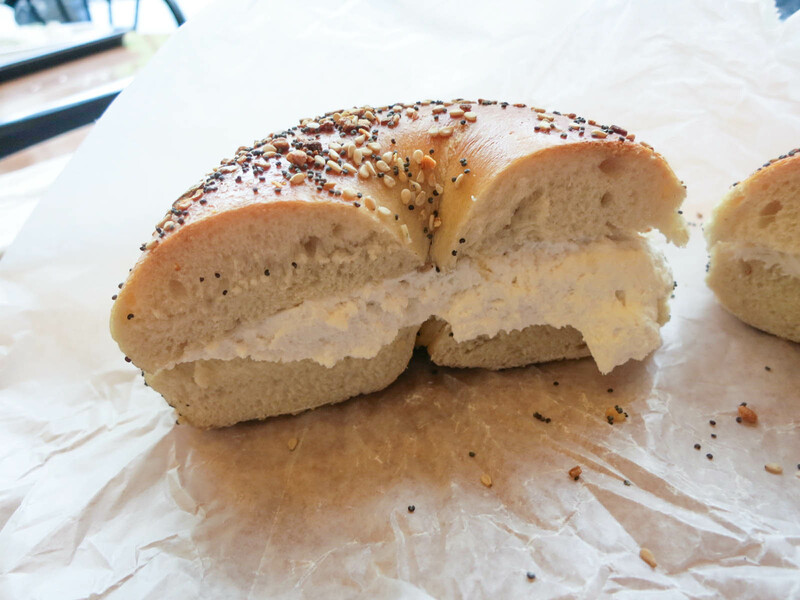 72nd Street Bagel is a good little spot to grab a no frills breakfast or a bagel. The prices were affordable and the service was quick and ideal for a grab and go meal. Yes, for a good bagel. Cream cheese overload! But looks gooooooooood.